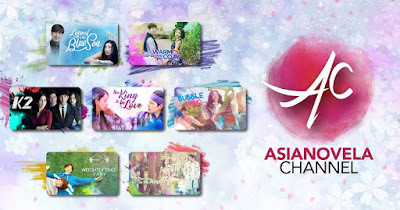 Asianovela Channel, ABS-CBN TVplus’ dedicated channel to all-things Koreanovela and Asian Drama, has become part of the TV viewing routine of many TVplus users in just a month since it was launched. Fans have taken to social media to show their appreciation of the new source of entertainment. Other netizens also expressed their program requests on Asianovela Channel’s Facebook page that has a growing number of followers. The series of positive feedback show how much Asianovela Channel has made an impact on the TV viewing of TVplus users as one of the five new channels of the country’s pioneering DTT product. Meanwhile, the start of the ‘ber’ months proves to be a jolly season for K-Drama fans as a slew of new shows air this September. Headlining the offerings this month is the hit fantasy-romance series “Legend of the Blue Sea” (weekdays at 11 AM, 5 PM, and 12 AM; weekends at 3 PM) starring Lee Min-ho and Jun Ji-hyun. Other shows that avid K-Drama fans shouldn’t miss include the rom-com “Warm and Cozy” (weekdays at 5 AM and 6 PM; weekends at 5 PM); the action melodrama “The K2” (weekdays at 12 NN and 7 PM; weekends at 5 AM), and the period romance “The King is in love” (weekdays at 10 AM, 4 PM, and 11 PM; weekends at 9 AM).